Whether you are selling your home, refinancing your home or simply need to know the value, you can’t guess at the price. 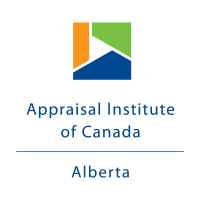 You need a professional residential appraisal in Calgary. The accuracy of an appraisal is essential because it will be utilized to determine the price or the value of the property. You need to know what the current market value of your home is before you put it on the market. 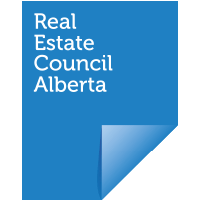 A residential appraisal in Calgary may also be necessary when distributing assets. Single family home appraisals are the best way to know the current value of your home. Although you may be able to guess, there is really no better way to find a credible value than with a residential appraisal in Calgary. We can provide single family home appraisals, country residence appraisals and recreational property appraisals. Every property is unique and therefore requires individual attention when determining the value. There are many factors that need to be considered when completing an appraisal. The size of the home, number of bedrooms and bathrooms, age of the home, whether renovations have been completed and the size of the lot are all some of the considerations used in an appraisal. The condition of the home, whether it has been properly maintained and the location must also be taken into consideration. Comparisons can be made when determining the market value of your home. We can view other, similar homes that have sold recently in your same neighborhood. This provides one of the ways to help determine how much your home is currently worth. Multi-family units and buildings have particular requirements when considering their market value. A multi-family unit may be a singly-titled condominium unit or an entire apartment building that consists of multiple units. Generally, the value of one unit must be ascertained first. This is done using a variety of methods. Comparisons can be made to similar units in nearby locations. Then, the value of one unit is multiplied by the number of units in the building. Additional methods can be used as well including the income approach. This approach values the property based on the income that it is capable of producing. The cost approach looks at what it would cost to build a new, similar structure. The appraisers will perform an appraisal to provide the best and most accurate valuation possible. Home prices fluctuate on a regular basis. The market value of your home today is probably different than it was two years ago. The value can go up or down and varies based on the many factors that impact home prices. That is why it may be necessary to have your home appraised if you haven’t done so in some time. Before you put it on the market or when you purchase an insurance policy, you need to know what the current value of your home and property are. A residential appraisal in Calgary will provide you with the information you need.